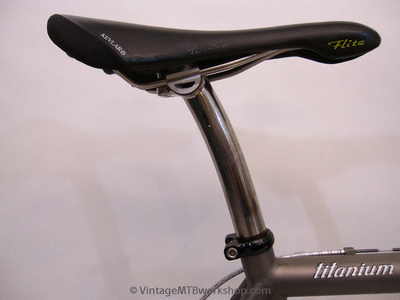 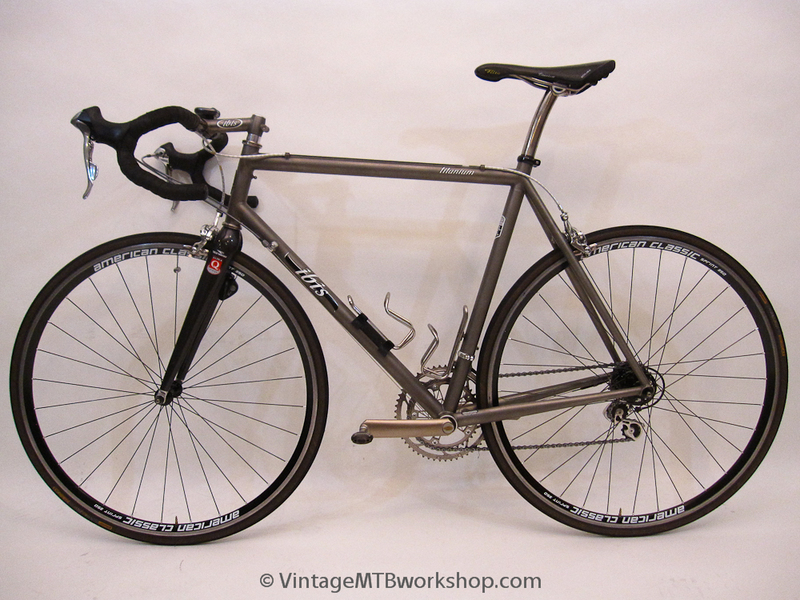 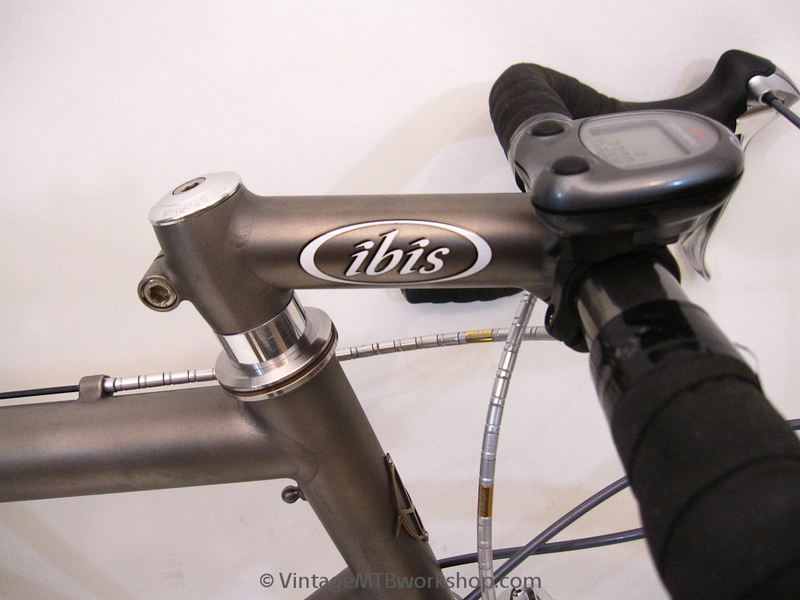 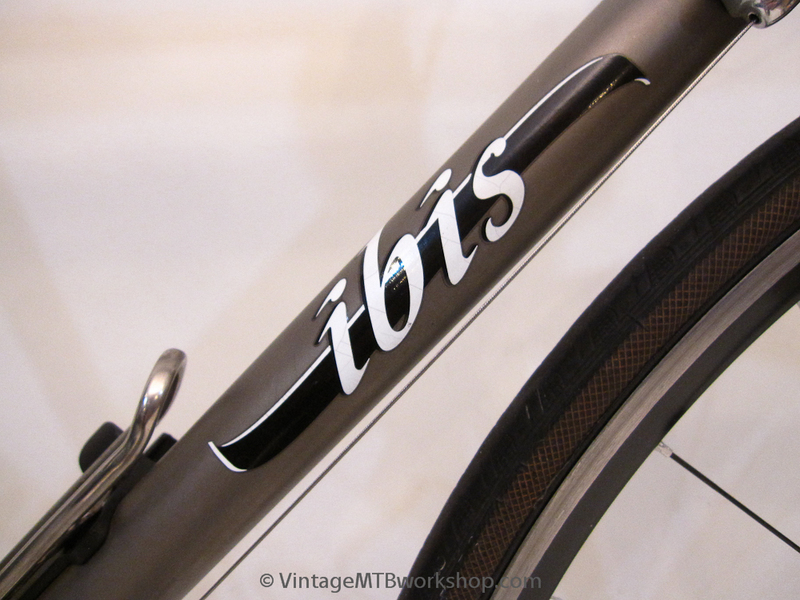 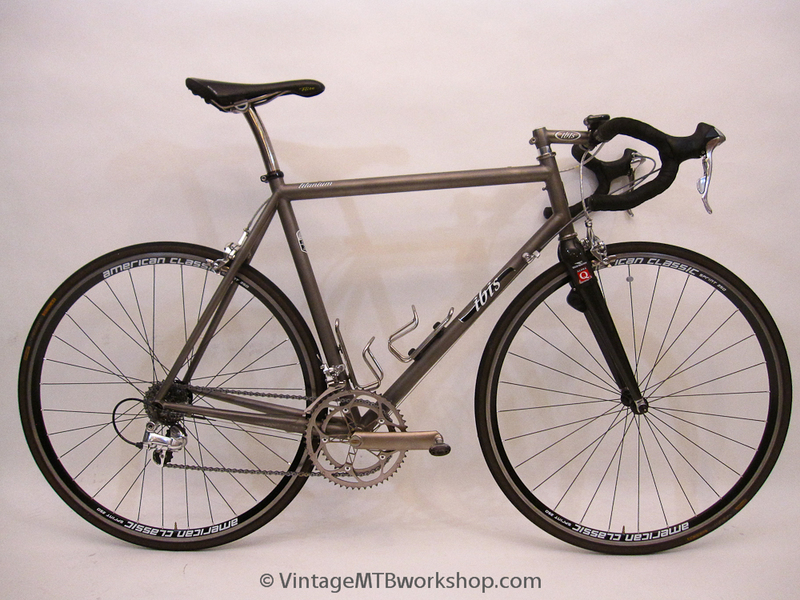 Ibis was one of the first to offer bicycle frames built with butted titanium tubing, which grew out of a close affiliation with Gary Helfrich of Arctos and Merlin fame. The unique tubes came from a collaboration with Ancotech in Detroit, MI who supplied the raw material and drew the tubes. 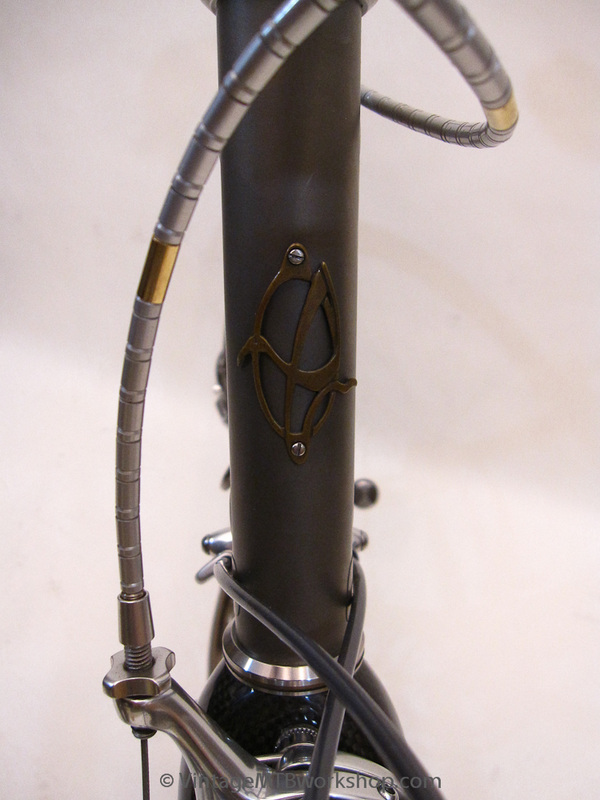 The result was a tube set that was internally butted with a 2:1 wall thickness ratio between the midsection and the ends where the welding took place. 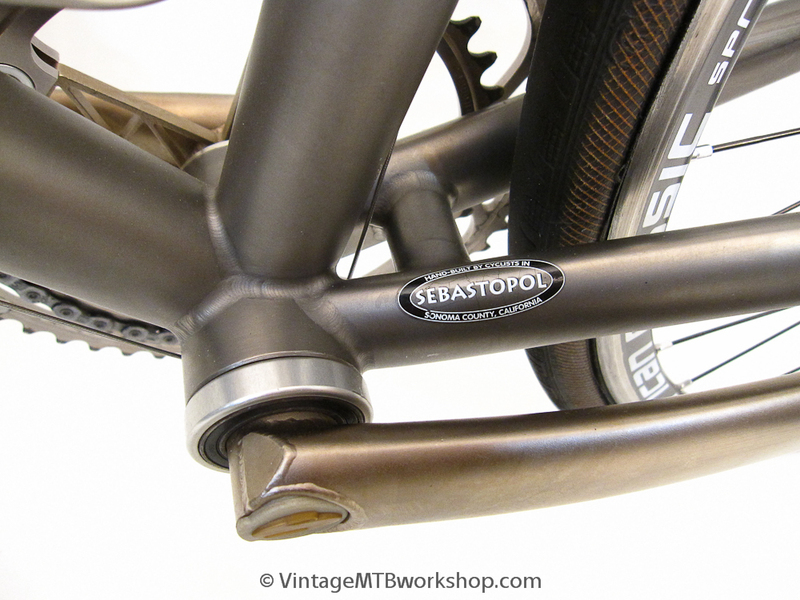 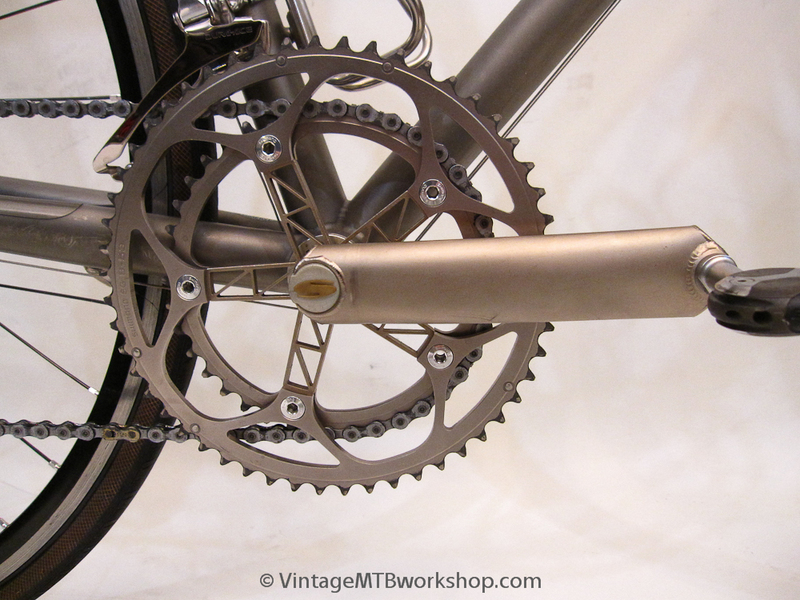 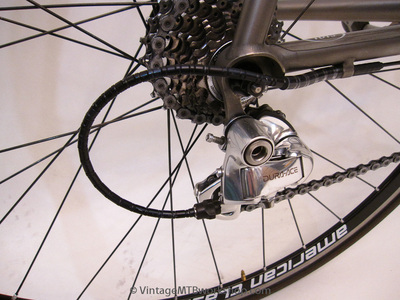 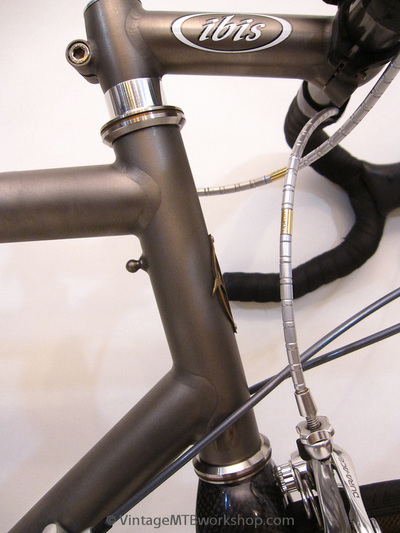 The tubing was used to make both mountain bike and road bike frames with tapered chainstays and seatstays. 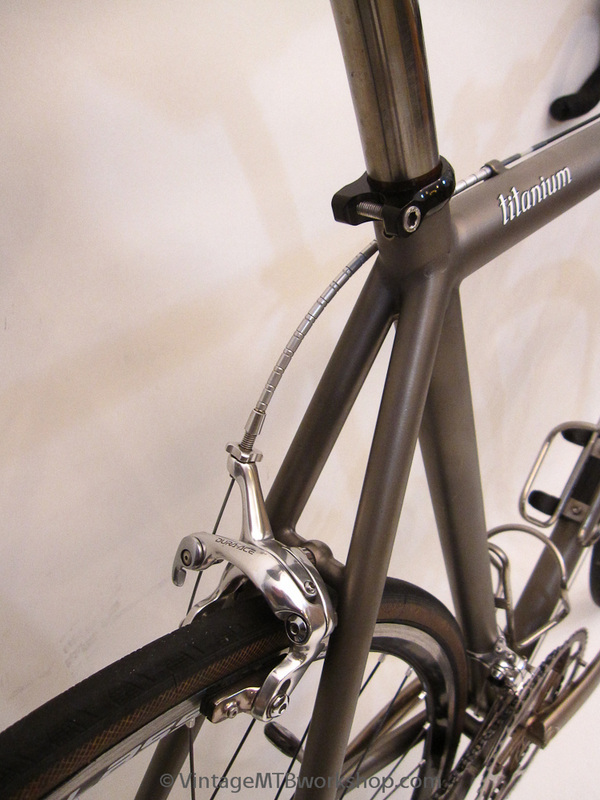 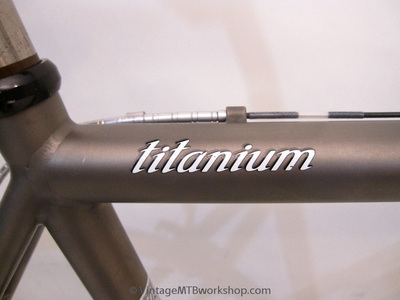 Up to this point, titanium bicycle tubing was mainly titanium electrical conduit for aircraft applications. 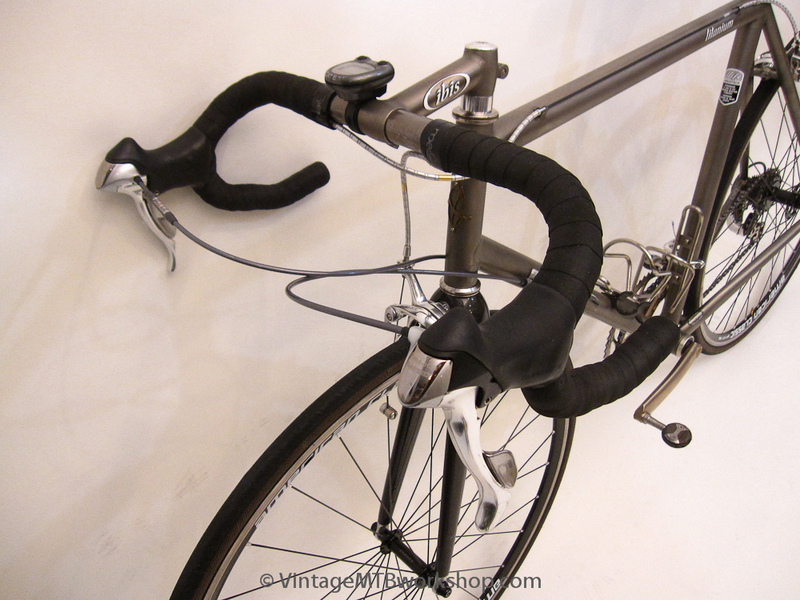 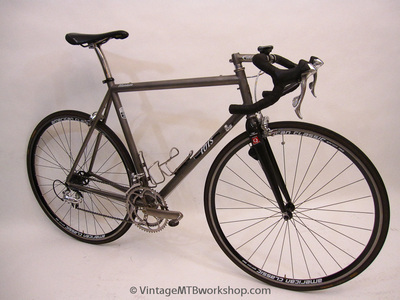 This particular bike is from an early production run, with a radical-at-the-time sloping toptube that was later abandoned for a more conventional horizontal toptube. 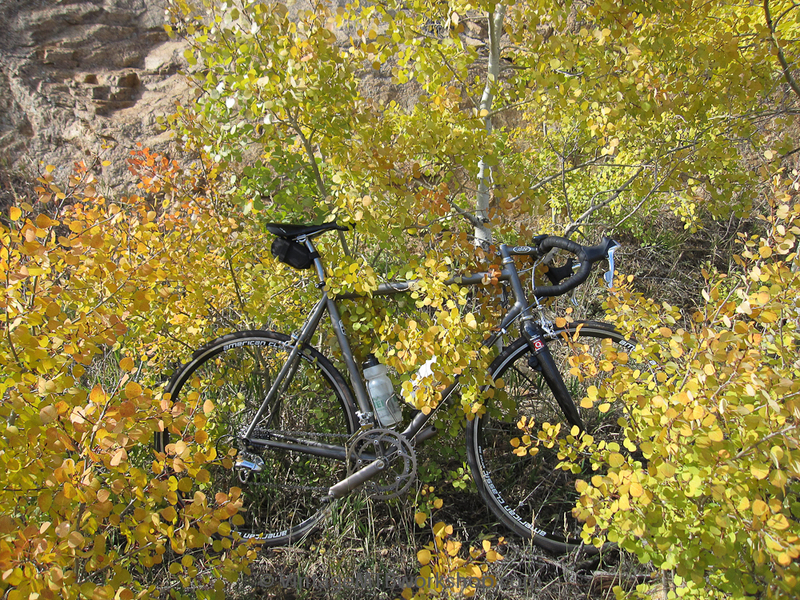 The bike weighs a bit over 16 pounds.